The Selfridges Beauty Hall is one of my favourite places to frequent as it really is beauty heaven, with every brand you could possibly imagine. 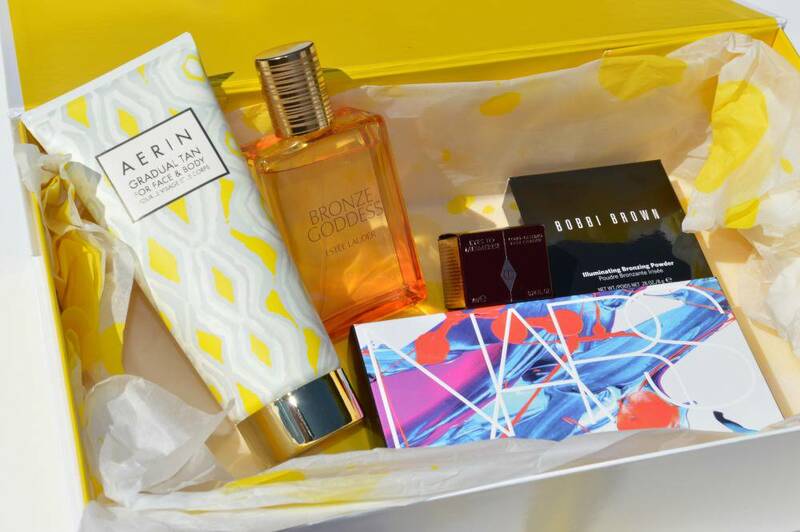 I was very kindly gifted a selection of Selfridges Summer Beauty Essentials and I honestly couldn’t believe my eyes when I opened my Selfridges gift box and saw the treats inside. The box contained new launches from five incredible brands; AERIN, Estee Lauder, Bobbi Brown, Charlotte Tilbury and NARS, and I’ve been thoroughly enjoying trying everything out so I could share my thoughts here on my blog. The first item in the box was the Estée Lauder Bronze Goddess Eau Fraiche Skinscent £47, which is a product I’ve lusted after for at least two years so I was extremely excited to see it nestled inside the box. Estée Lauder Bronze Goddess is the signature product of their annual summer collection, and is a fragrance which is packaged within the most stunning orange and yellow ombréd glass bottle with a golden lid. 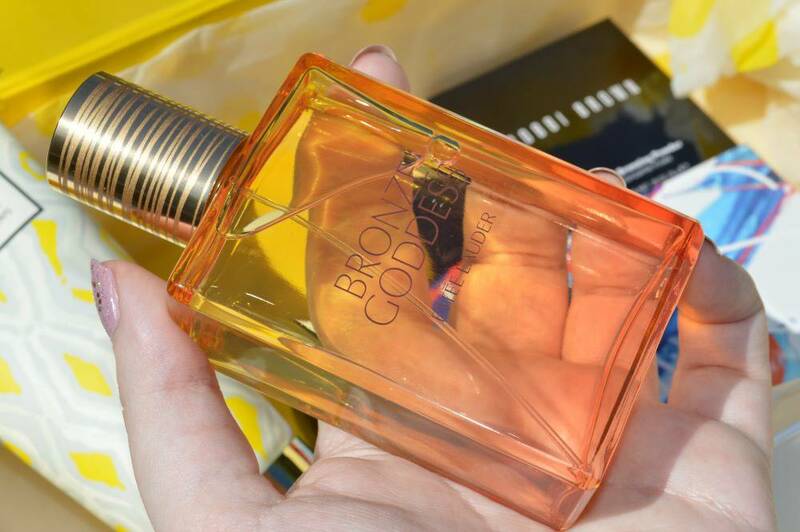 Every review I’ve ever read of Bronze Goddess has described it as being ‘summer in a bottle’ which to me as a reader, hasn’t been particularly helpful but now I’ve tried it for myself, I really can vouch that it indeed smells like summer in a bottle. Estee Lauder Bronze Goddess opens with zesty citrus notes of Sicilian bergamot, mandarin, lemon and orange, its heart notes contain tiare flower, jasmine, magnolia and orange blossom, and base notes of amber, coconut milk, vanilla, vetiver, sandalwood and myrrh. The Bronze Goddess bottle contains an impressive 100ml which I think is pretty good value for £47, for an Estée Lauder fragrance. As Bronze Goddess is described as an Eau Fraiche Skinscent, I expected it to be quite a light scent compared to an eau de parfum or eau de toilette, but boy was I wrong. The scent is really quite strong, without being overpowering and I find that two spritzes lasts for at least five or six or hours on me which is amazing. When I wear the fragrance, I honestly cannot detect any citrus notes but I can definitely detect the coconut, amber and sandalwood and everytime I wear it, I find that it instantly puts me in a good mood. It smells like suncream, cocktails, aftersun and sunshine all blended into one, and it smells absolutely stunning. I love this fragrance so much, it really is the most perfect summer scent and I haven’t used any of my other fragrances since I got my hands on it. If you’ve always wanted to try it, I recommend giving it a go before it sells out; like it does every year. 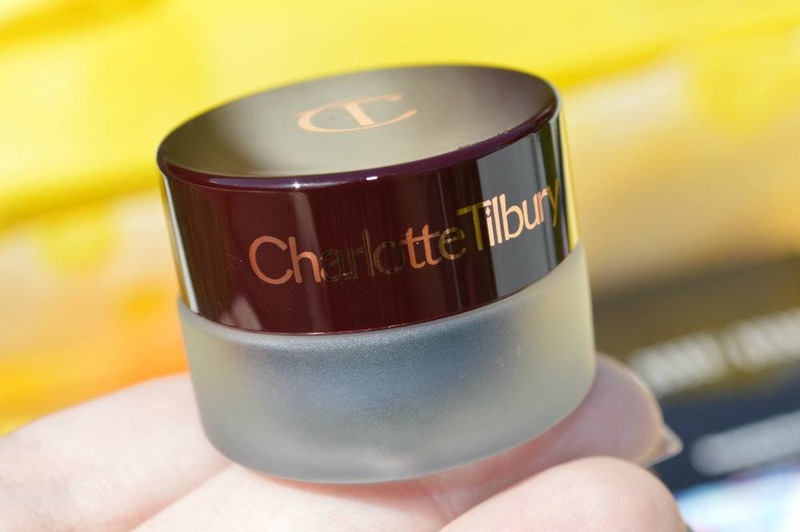 The next item in my box was one of the new Charlotte Tilbury Eye to Mesmerise Cream Eyeshadows in the shade Cleopatra £22. I love cream eyeshadows, and I’ve been eyeing up these shadows and I have to admit, I’d never have chosen Cleopatra as I’m a real neutrals girl. 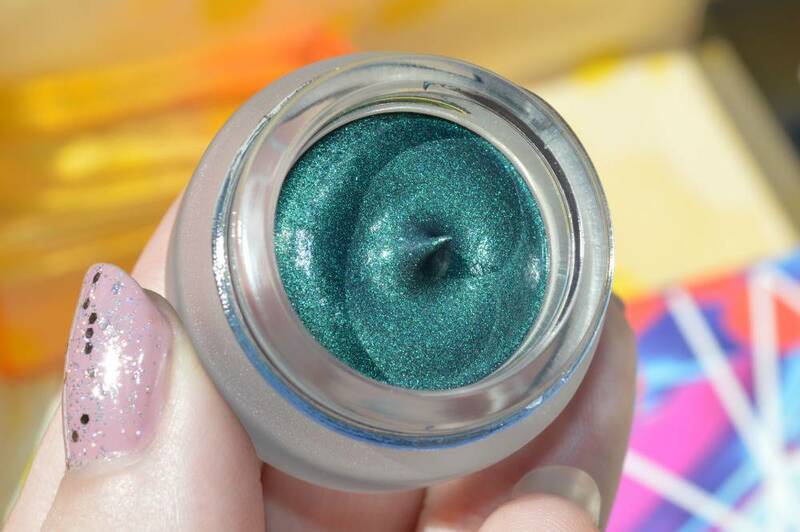 However, I’ve fallen in love with it as it’s so beautiful.. a bold, peacock green with such intense pigmentation. 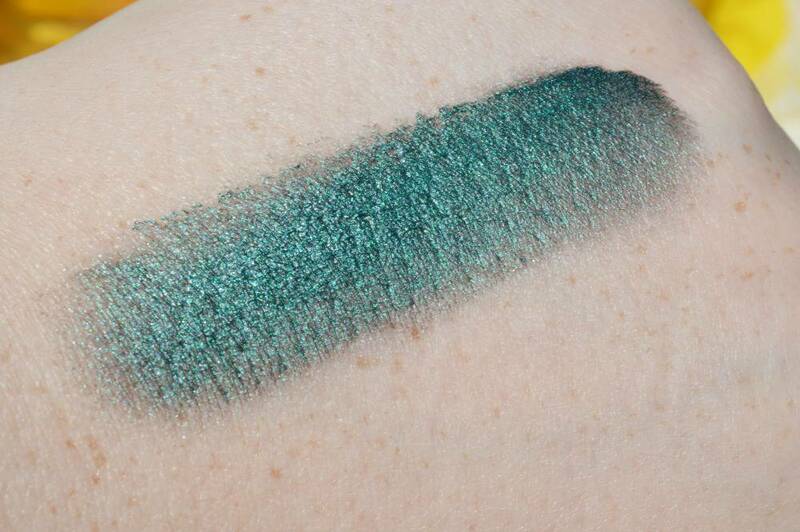 This swatch is from a pin-head sized amount of the shadow, which is insane and it’s so creamy and easy to blend. I really need to add a couple of the neutral shades to my collection now, after being wowed by the formulation of Cleopatra.. 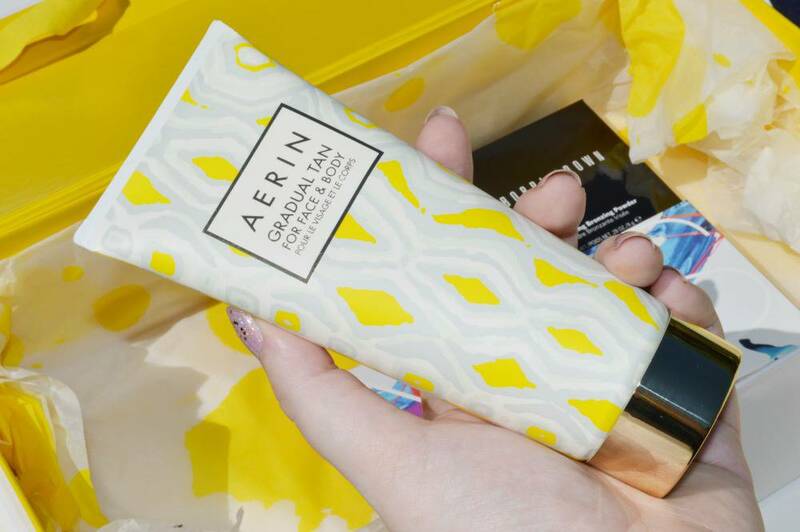 I also got the AERIN Gradual Tan for Face and Body which is due to launch on the Selfridges website very soon. Described as a nourishing lotion to keep skin smooth and moisturised and it claims to absorb instantly to achieve even, thoroughly natural results, whilst AERIN’s signature floral infusion lifts spirits and imparts a delicate scent. The design of the bottle is really lovely, and the lotion smells divine which I never expected as gradual tanning products always carry that horrible dog biscuit smell, but this smells like a perfumed body lotion rather than a gradual tan. The lotion is white in colour, so I’d recommend being careful when applying as there’s no guide colour to help you with an even application. 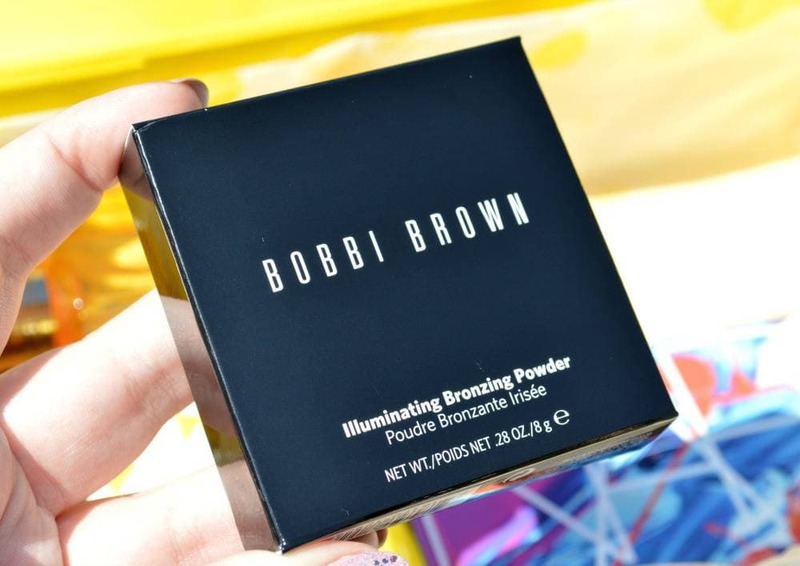 When I first saw the Bobbi Brown Illuminating Bronzing Powder in Santa Barbara £28, I was quite taken aback by its colour.. I’ve never seen a pink bronzer before. Santa Barbara is described as being a Pink Nectar, and in the pan is bright, almost burnt pink shade. Once applied to the skin, it’s incredibly stunning as it contains the most amazing golden sheen which is so unlike any other bronzer or blusher I’ve ever tried.. it really is a wow product, and one you have to try to see the true beauty. The powder is so finely milled, and the shimmer sits beautifully on the cheeks without highlighting the pores and is very flattering. 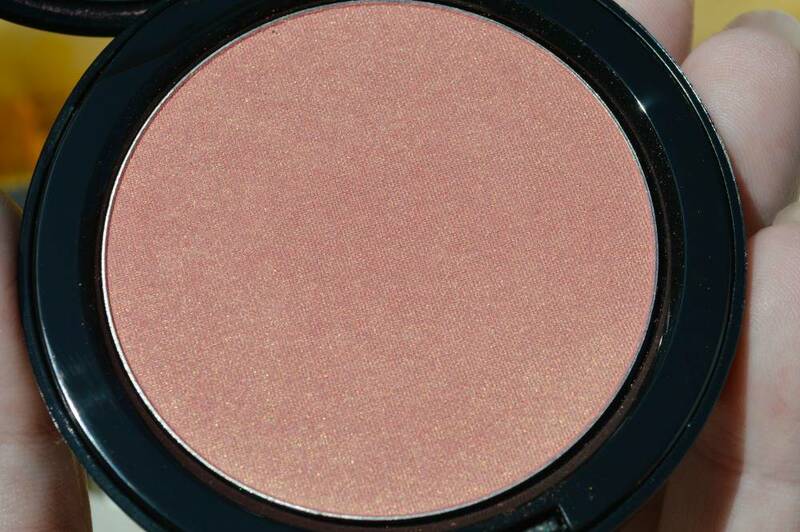 This shade somehow works as a 3-in-1, giving a pretty pink glow to the cheeks in the place of a blush, the golden sheen gives the skin a sunkissed glow like a bronzer, and an highlighter in one. 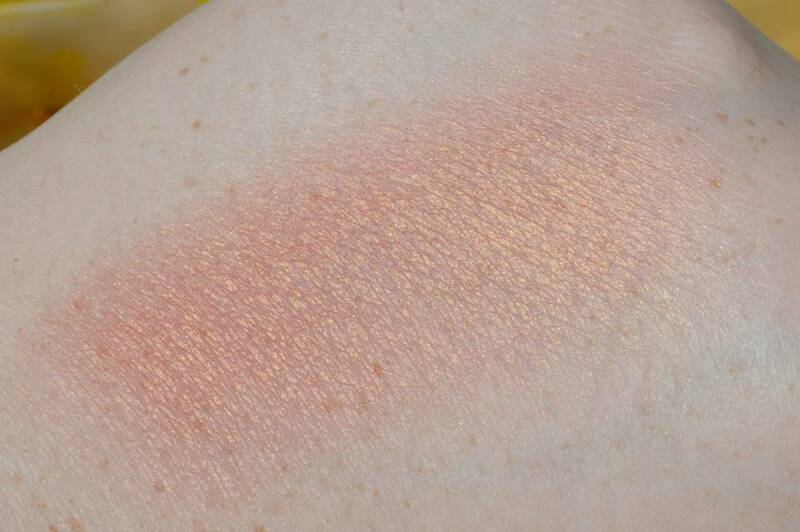 I think this shade would work for practically all skintones too, which is so hard to find – it’s beyond beautiful. I really had to save the best for last.. the amazing NARS True Lip Crayon Set, which hasn’t even launched on the Selfridges website yet.. I was very lucky to receive a preview to showcase here on my blog, and I know it’s going to be a massive success once it goes live on the 1st of July. 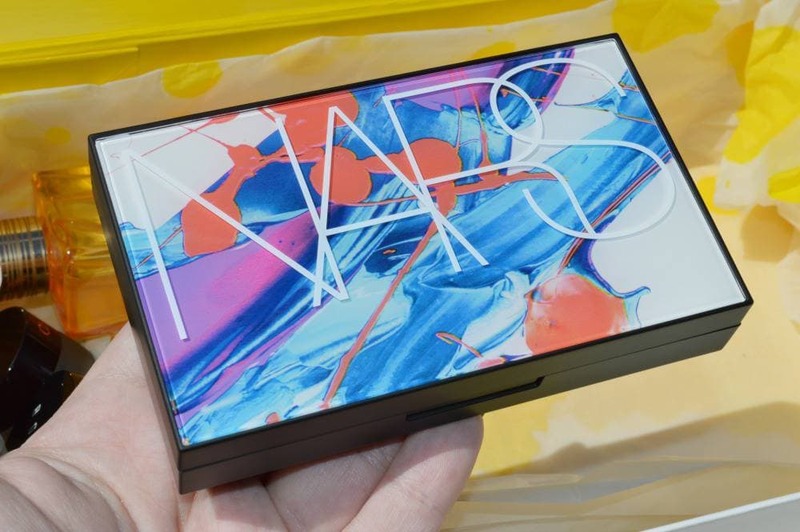 The NARS True Lip Crayon Set is packaged within a beautiful plastic case, which is the same size as their Dual-Intensity Eyeshadow Palette, with a vibrant and colourful paint splatter design on the lid. 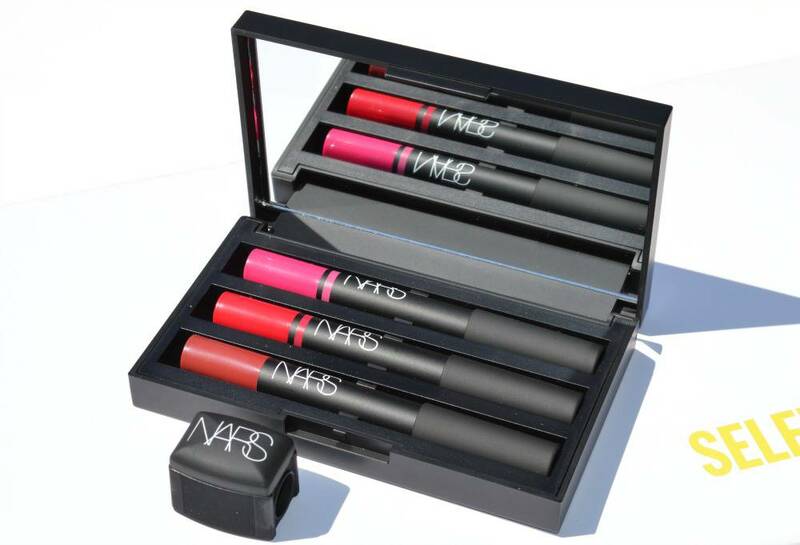 Inside the sleek case, there’s a sizable mirror within the lid and three full size NARS Lip Crayons in the shades; Yu, Luxembourg and Provocative Red. Yu is one of the NARS Satin Lip Pencils, and is described as a ‘shocking pink’, and is a bright and bold pink with a strong blue undertone. I already have a mini size of Yu, which I got in the NARS Digital World Lip Pencil Coffret at Christmas and it’s a stunning, statement shade. Due its super strong blue undertone, it makes my teeth look very white which is always a winner, and it lasts for such a long time on the lips at around six to seven hours, as it really stains the lips. The next shade in the trio is Luxembourg which is one of the Satin Lip Pencils, and described as a ‘vivid watermelon’ which is the perfect description, as it’s a pinky red colour like the flesh of a watermelon. Just like Yu, Luxembourg is very staining, which adds to the longevity at the same six to seven hour mark and they both wear away evenly too. The last shade in the Selfridges set is Provocative Red which is a set exclusive, and is what I’d describe as being a brick red and is from the NARS Matte Lip Pencil range. Provocative Red is creamy in terms of consistency, and glides across the lips which is impressive for a matte lip pencil. I find the formula of Provocative Red to be a little more forgiving than the likes of Cruella for example, which highlights any imperfections of the lips. 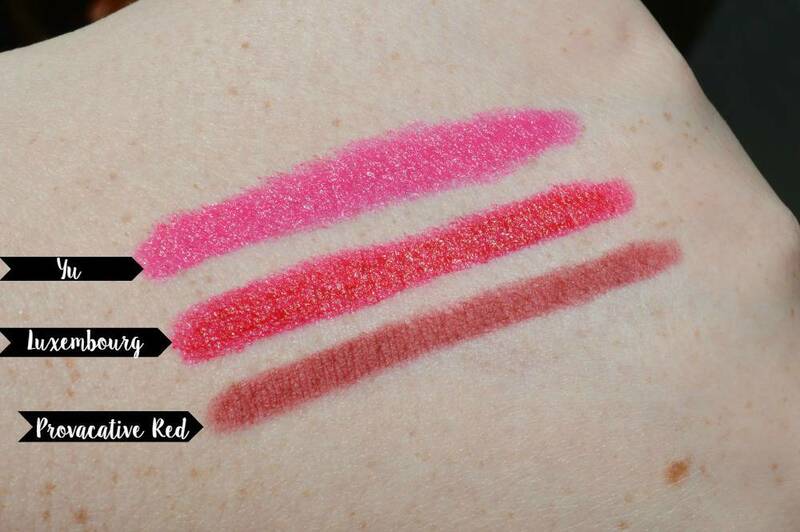 I don’t find that Provocative Red stains my lips like the other two shades, but it still lasts for at least six hours due to the longwearing matte formulation of the NARS Lip Pencils. I imagine this set is going to sell out fast, as it contains three staple lip colours and NARS sets are always very popular. This set will be going on sale for £29 which incredible value seeing as one NARS Lip Pencil is £19 alone, so £29 for three full size lip pencils and a beautiful case is just amazing. I am so happy with my new Selfridges Summer Beauty Essentials, and I’m so grateful for being able to trial and test them all out. What is your favourite item?